The five-member national selection committee of Board of Control for Cricket in India (BCCI) will meet today, April 15, to announce the Indian squad for ICC Cricket World Cup 2019. The ICC Cricket World Cup 2019 is scheduled to begin on May 30 and ICC has set April 23 as the deadline for participating teams to name their respective squads. New Zealand and Australia have already named their squads. Meanwhile, 11 out of 15 spots in the Indian squad have been taken by regular members like captain Virat Kohli, Rohit Sharma, MS Dhoni, Jasprit Bumrah, etc. So, the selectors will have to fill in four places and there are many contenders to grab those vacant spots. BCCI Wants Hardik Pandya-KL Rahul Chapter to End With ICC World Cup 2019 in Mind. While Hardik Pandya is set to feature as the first choice all-rounder, both Vijay Shankar and Ravindra Jadeja could find a place in the 15-man squad as well. With seam bowling friendly conditions in England, Shankar could be given the preference if there is a toss-up between him and Jadeja. The toss-up situation will rise if selectors include either Karthik or Pant in India’s squad for World Cup. 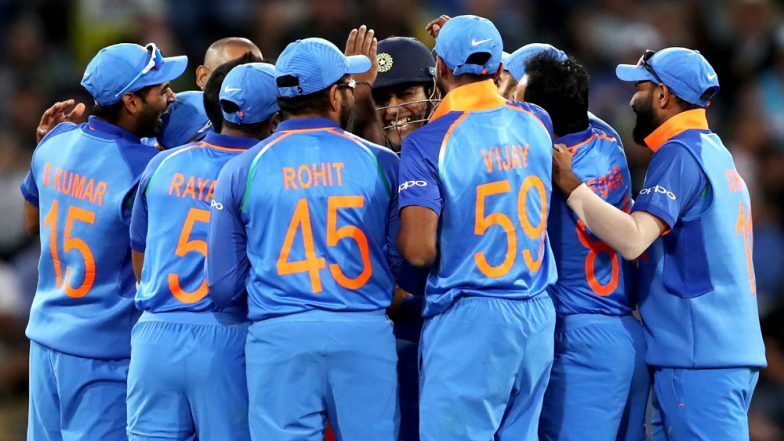 Virat Kohli (c), Rohit Sharma (vc), Shikhar Dhawan, Ambati Rayudu, Kedar Jadhav, MS Dhoni (wk), KL Rahul, Vijay Shankar, Ravindra Jadeja, Hardik Pandya, Yuzvendra Chahal, Kuldeep Yadav, Bhuvneshwar Kumar, Mohammed Shami, Jasprit Bumrah.